If you have not heard of or started using the YouTube Go application, you are missing out on it's great features. YouTube Go application is the official lite mobile version for YouTube that allows you to download, watch or share YouTube videos anytime, any where. YouTube Go have been officially launched over 130 countries including Nigeria and India, available for only for android. Watch and Preview YouTube videos like the normal YouTube mobile application you can find and watch your favorite and popular videos on YouTube Go even with low network or limited issues, its also allows you to preview the videos before playing it. Download YouTube videos with YouTube go you can download YouTube videos straight to your phone's memory or SD card for offline viewing. If you use YouTube for watching tutorial videos or learning this can be very helpful because its saves your data, instead of repeat viewing a video, you can just simply download and watch offline for as long as you want. Share Videos With Friends And Family, you can send and receive downloaded YouTube videos instantly with nearby friends and family without data and less stress using YouTube Go application. Control And Save More Data, From low quality to high quality videos. 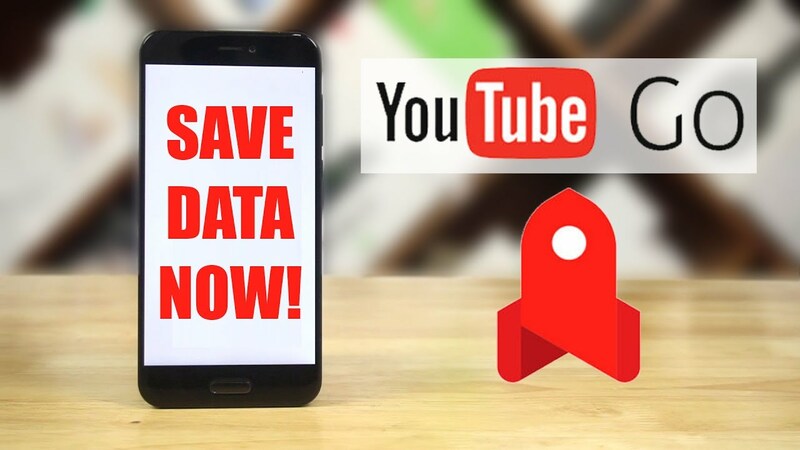 YouTube Go allows you to choose the how many MB (data usage) used watching or downloading particular video, giving you the control of quality over file size. Small size, Less Lags Or Phone Hanging , for only 9.4MB YouTube Go is very easy to download. Built from scratch with the low end mobiles in mind, YouTube Go works super smooth, no more worries about phone hanging, low memory or slow internet speed as YouTube works far back from Android 4.1 (jellybean) and above. As a lite YouTube application some features available On the normal full version YouTube Application are absent. (As of now we have no idea if they will be include in future updates). While some of features are unavailable, i will be listing only the major ones. Reactions, Ability to like, dislike, comment or reply is not available. You can't react towards a video or view reactions using YouTube Go application. Subscriptions, While you get updated with videos from your subscription or trending videos straight to your front page you can't subscribe to a new channel or unsubscribe to a previous channel. Video Uploads, YouTube go is strictly for watching, sharing or downloading YouTube videos. As of now it doesn't support video Uploads. Its Advantage surpass its limitations the YouTube Go is a very good application which everyone should consider downloading, especially if you are on a limited data plan or slow network connection issues. While i use YouTube Go along side with the full YouTube application, I spend most of my time watching videos on YouTube Go, maximizing fun without eating up my data.